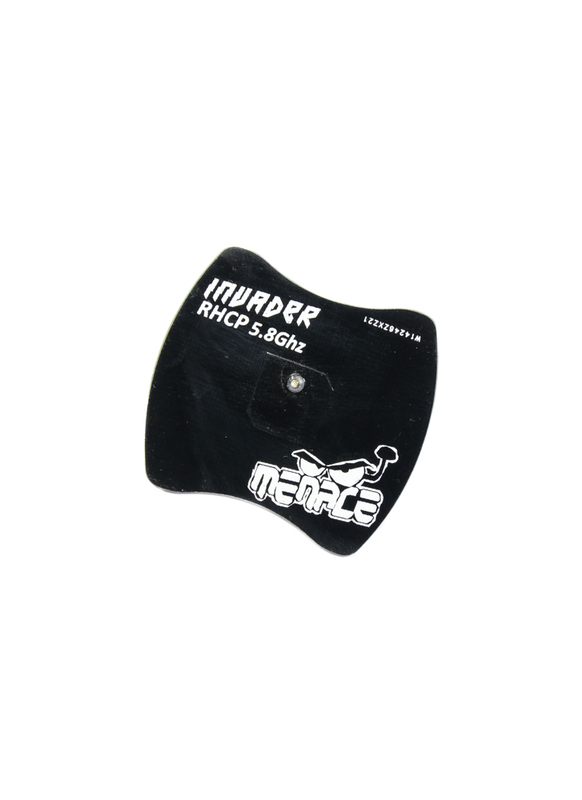 Performance without the price tag, the Menace Invader is half the price of competing antennas such as the Immersion Mini and yet levels or even beats them in terms of performance. Being a patch antenna it will increase your range and improve the quality of signal reception over standard dipole antennas that come with most FPV gear. As a patch antenna, it's directional, so for the best experience use with a high quality Omni Directional antenna such as a Spironet or TBS Triumph. The patch is pretty tiny and weighs very little so it can be mounted directly onto your goggles, or onto the front of any FPV receiver (SMA connection). We sell both RHCP and LHCP versions. If you have a RHCP antenna on your drone you need the RHCP version and vice versa. The Invader has become a favourite among those in the drone racing community, get yours now and see why. Range in excess of 1Mile (1.6km) and 150m behind using a 200mW Vtx.